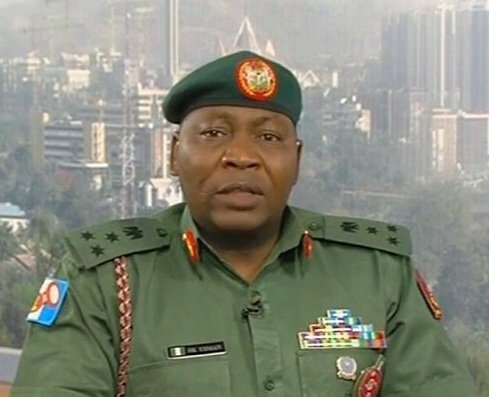 The Director of Army Public Relations, Brig.-Gen Sani Kukasheka Usman has denied reports that wanted factional Boko Haram leader, Abubakar Shekau has fled to Kolofata, Cameroon. Usman in a Friday statement described the report as “misleading”, adding that the Army would not have declared a N3 million bounty on Shekau’s head if it knew the fugitive was in Cameroon. The statement released in Maiduguri, read in part, “The attention of the Nigerian Army has been drawn to a news story on some news medium , alleging that the wanted factional terrorists’ group leader , Abubakar Shekau , is in Kolofata , Republic of Cameroun. “The report alleged that a top Boko Haram commander; Abdullahi Bello , alias Abu Zainab , who was captured by the Nigerian Army on February 14 , disclosed that Shekau escaped to Cameroun. ‘This is not true; the Nigerian Army did not arrest such person, neither do we have such suspect in our custody. The Army spokesman enjoined reporters to crosscheck information with the military to avoid misinforming the public.